» Get Faster In Final Cut Pro – 13 – speed change ‘sss’ you down with FCP? This was one of the most talked-about features of fcp 7, but for some reason I didn’t start using it until recently. 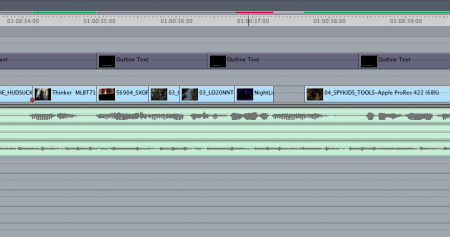 If you have a timeline with a gap in video and you would like to time scale (or speed change) a clip as it sits you have few options. 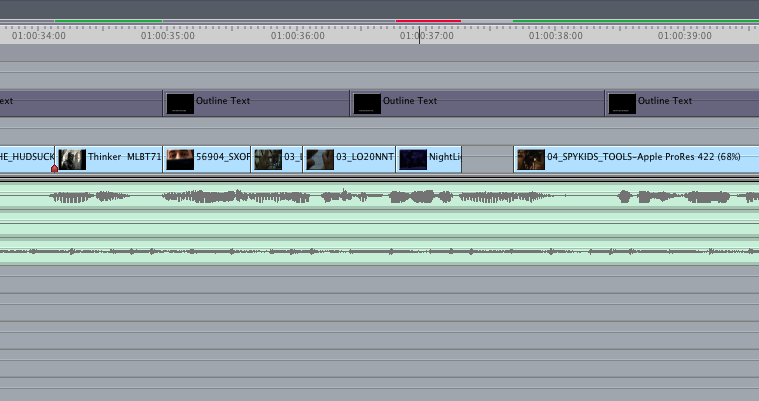 What I had resorted to doing was cutting the clip, pasting it at the end of the timeline, speed remapping it, and then pasting it back into place. That is slow and irritating. 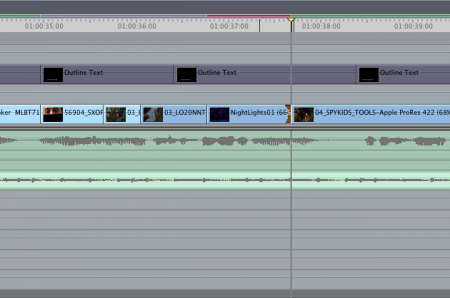 If you try to remap it in place then frequently linked audio will force you to ripple the sequence. In short the old right-click, then “change speed” menu works better than it used to, but still not that well. Enter the speed change tool. You can find it under the ‘roll’ icon in the tool bar, or you can shortcut to it by hitting ‘sss’ It is shown below as the fifth icon down. Click on the end of a clip and drag it to your desired length. The tool will keep the in and out as marked, and time remap the clip to fit your new selection. If you select an edit between two clips it will adjust both clips accordingly. This is exactly how I would like the tool to work, and it is super convenient. If you have excellent vision you can see that the clip “Nightlights01” has been remapped to 66% Three s’s and a drag was all it took! ~ by ross on July 26, 2010. Interesting. How does this sss etc. DIFFER from using FIT-TO-FILL, which by the way, has proven excellent on the timeline, but frequently caused mega agita in outputting for broadcast (ghosting, breakup, noise on the video, etc.). Any suggestions about getting around this? If yes, pls contact me per email, since I only raise this site when it comes up in a search. Thx. It does work like a fit to fill, but you use the speed tool technique when you already have a clip in the timeline. Fit to Fill is typically used as an editing function, not something that can be accomplished with a clip that is already in the timeline without match framing and re-editing as a fit to fill. This method is a really quick way to fill gaps with a speed effect and is not widely known as it is a new feature of FCP 7. Bravo to U-down. For more tips with the new speed tools, check out my presentation at the SF SuperMeet here: http://is.gd/dpDjf.